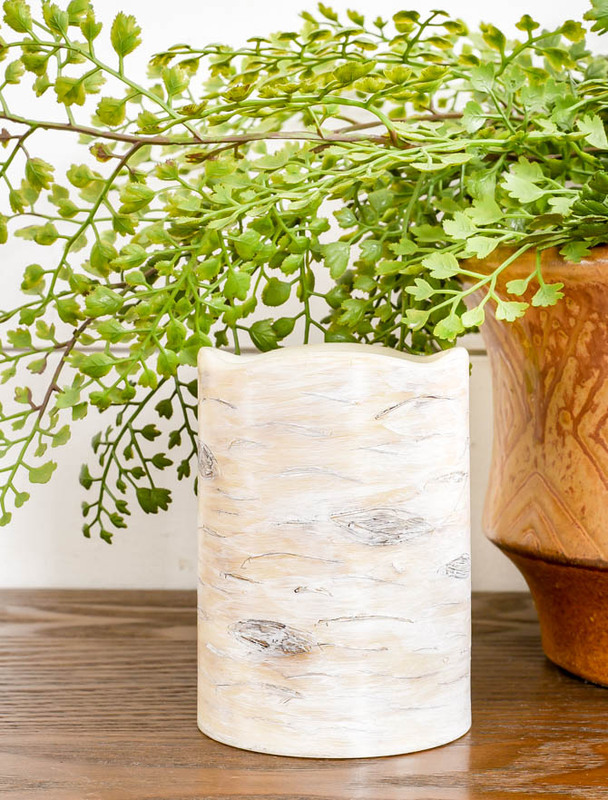 Transform basic LED Dollar Tree pillar candles into faux birch wood in just a few simple steps! I know, it's not the first Monday of the month, but I have another easy and affordable Dollar Store DIY to share! Last week, I took a trip to Dollar Tree and shared 50 of my favorite craft and home decor items. I searched and photographed the best products to buy, but also bought items for future Dollar Tree makeovers. One of the items I bought was an ivory wax LED pillar candle. 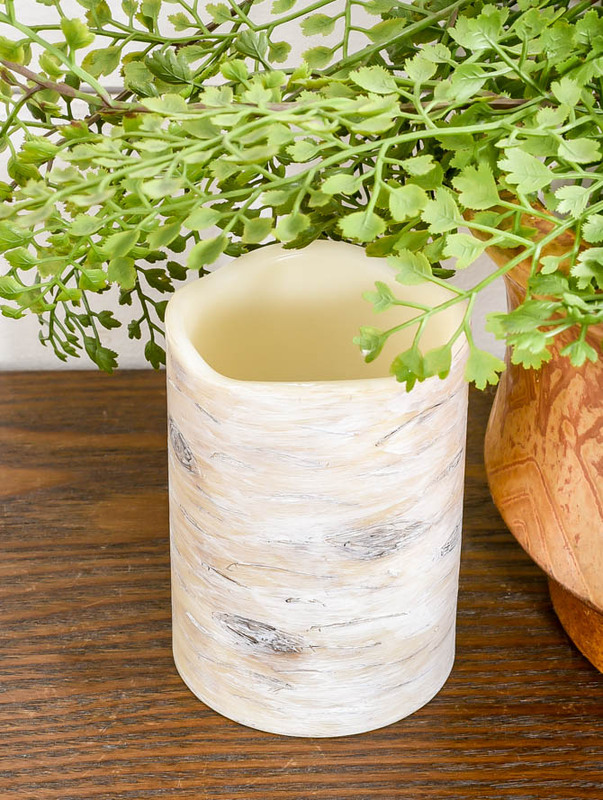 You can place these candles on top painted Dollar Tree pillar candle holders, use them in a tablescape surrounded by greenery or turn them into faux birch wood candles. 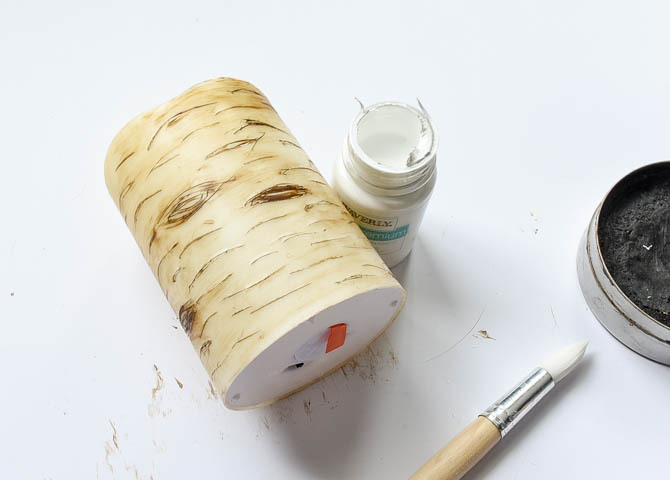 With only 3 basic craft materials and a few simple steps, you can give basic inexpensive wax candles the appearance of birch wood. 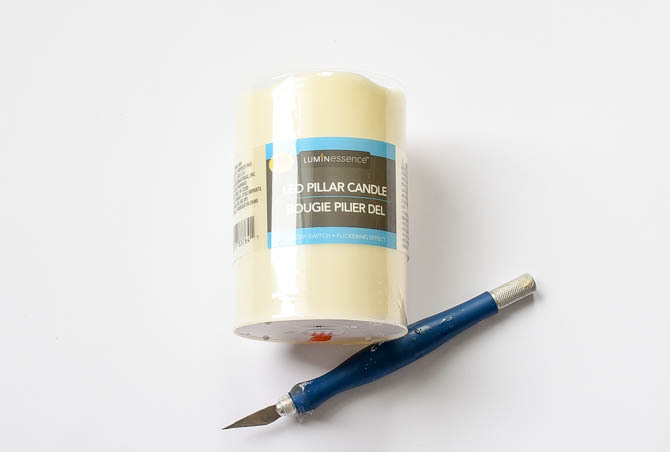 I chose to use the LED wax pillar candles from Dollar Tree over regular wax candles because I liked the shape of the LED candles better. I also liked the idea of using battery operated candles over traditional candles, but you can use whatever candle type you prefer. Using an x-acto knife, make random light horizontal and eye shaped slits around the candle. Be sure to vary the length and size of the slits for the most realistic looking bark. 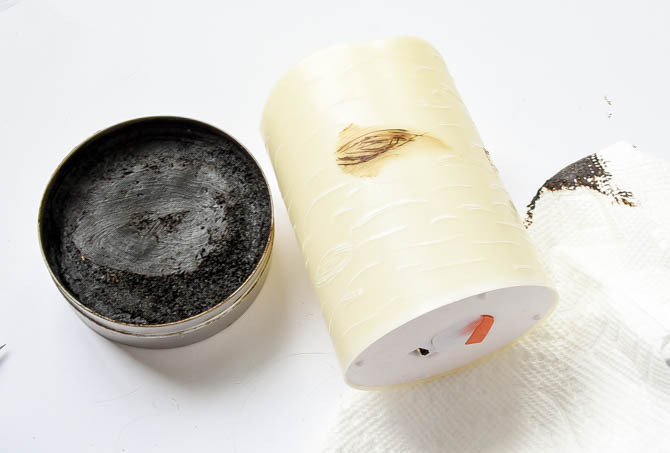 Using a paper towel, apply antique wax directly into the slits then blend the wax over the entire candle. 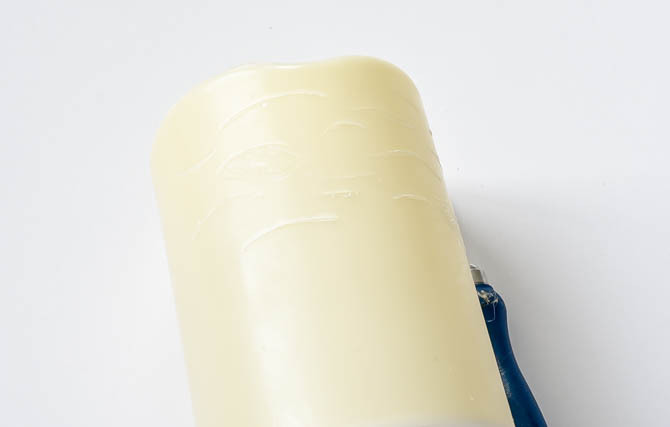 After the wax is dry apply a thin layer of white chalk paint over the candle. 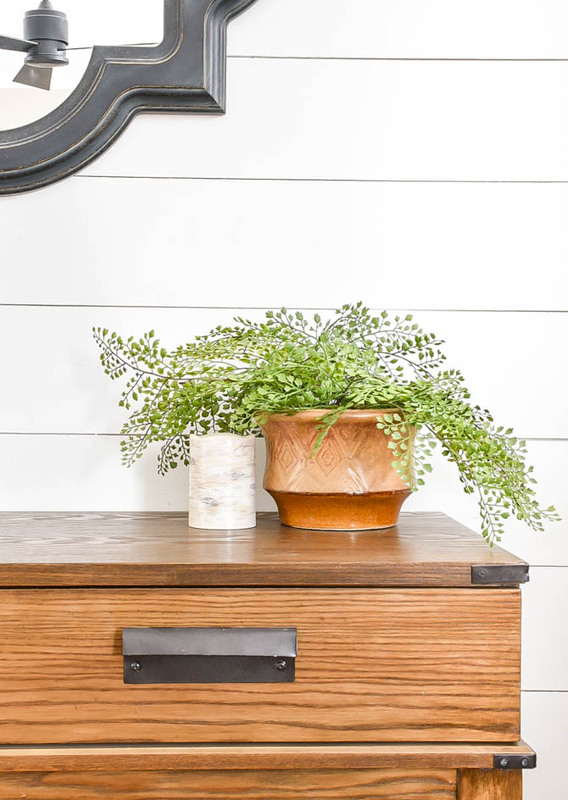 Use a paper towel to blend the white paint into the antique wax. 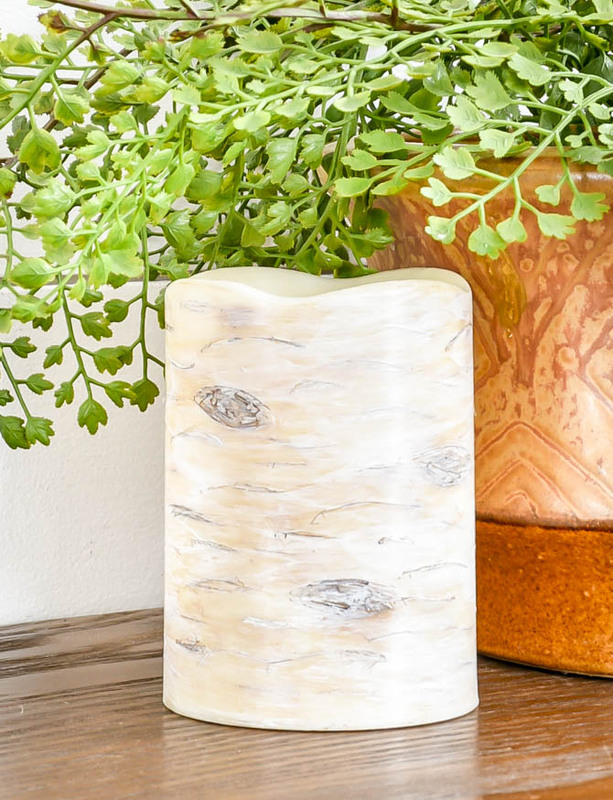 This creates depth to the candle and the appearance of natural looking birch. 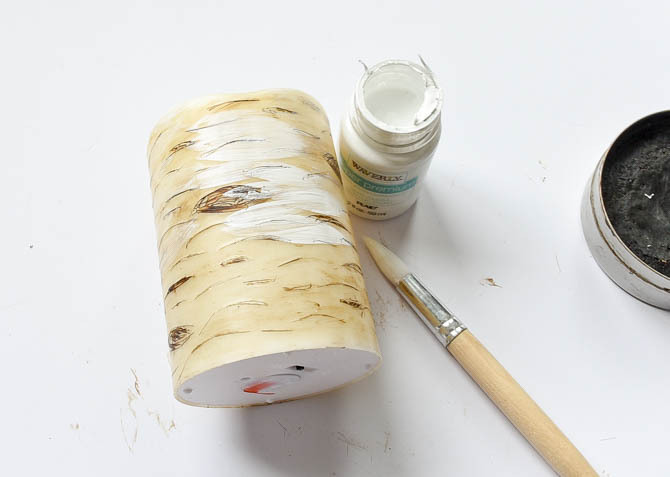 I just love how these basic Dollar Tree LED wax candles turned faux birch wood came out! 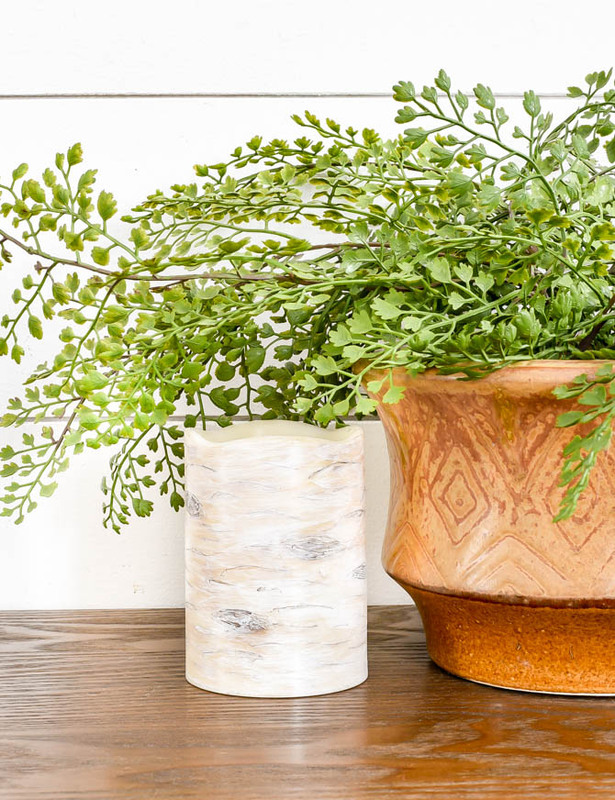 They only require a few basic craft supplies to make and are a super easy way to create affordable decor for your home. 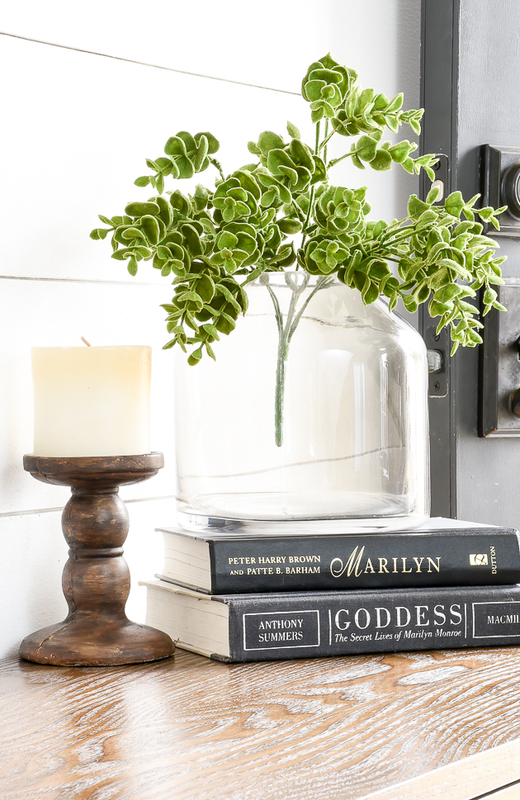 Are you looking for even more Dollar Tree decorating ideas? You can find all my previous Dollar Tree projects HERE! Super cuteee, simple & authentic looking!!!! What an easy DIY. I have these candles on my mantel now. Going to have to try this!! Wow! I was looking at birch candles this weekend on sale. Still too expensive--and I think they were fake! This looks great! Thanks for sharing. And no complaints here that it's not the first Monday of the month!